The Ministry of Commerce together with the Directorate of Investment Administration (DICA) and the International Trade Center (ITC) launched the Trade and Investment Project (TIP) on Monday with the aim of boosting Myanmar`s business ecosystem by improving trade and investments. The TIP, which would run from 2019-21, is funded by a US$5.28 million grant from the UK`s Department for International Development (DFID) with technical assistance from the ITC, a multilateral agency based in Geneva. The project`s strategic focus include improving trade competitiveness and business environment through updating National Export Strategy (NES), supporting investments in building productive capacities as well as expanding public and private trade and investment support services to micro, small and medium enterprises. 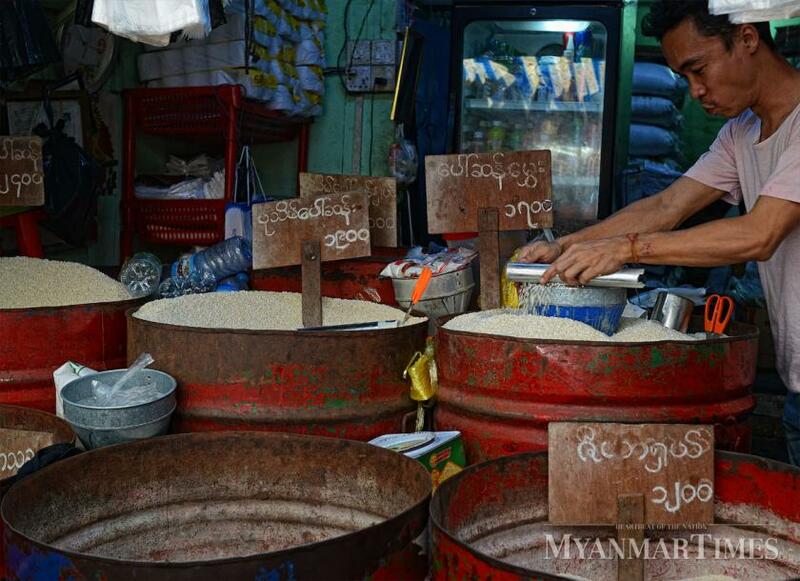 The TIP will also improve the investment promotion through the Myanmar Investment Promotion Plan (MIPP), and enable priority sectors growth through specialized support for the private sector. The current NES, which runs from 2015-19, has a list of 11 prioritized sectors, which includes rice; beans pulses and oilseeds; fisheries; forestry products; textiles and garment; rubber; tourism; information and promotion; trade facilitation and logistics; access to finance; and quality management as supporting services to improve export. The Ministry of Commerce will be adding fruits and vegetables, gems and jewelry, handicrafts, processed food products and digital business as the potential export sectors for the updated NES (2020-25). The Ministry of Commerce`s permanent secretary U Aung Soe said the states and divisions of the country will then develop the prioritized sectors assigned to them following the NES`s updating of these sectors. He said the NES will need to address how the country can leverage new opportunities through the creation of sustainable agro-processing, manufacturing and services jobs. U Aung Soe added that it would also be important for trade to be inclusive and reach all the states and divisions, as well as promote the building of productive capacities. Meanwhile, DICA Director General U Aung Naing Oo said seven states and divisions will be chosen for the TIP implementation, which will also support the MIPP. ITC Executive Director Arancha Gonzalez said Myanmar has great growth potential as the TIP will work with private and public sector partners to capitalize on these opportunities and help the country to position itself for greater investment and deeper regional integration. The DFID`s senior economist and inclusive-growth team leader Tom Coward said the TIP will support economic development in the states and divisions as well as generate jobs and improve incomes. The launch of TIP comes at a time when exports appear to be gaining on imports. Data from the Ministry of Commerce showed the trade deficit for the first four months of the 2018-19 fiscal year, which starts in October and ends in September, has declined with imports increasing at a slower pace compared to the same period of last fiscal year. According to the data, trade volumes for the period up to the second week of February reached US$12.65 billion, a gain of US$634 million compared to the same period of last fiscal year. Exports stood at US$5.9 billion while imports dropped by US$280 million to US$6.8 billion. The government is targeting a total trade of US$31 billion for the current fiscal year, with US$15.3 billion for exports and US$15.8 billion for imports. This would reduce the trade deficit to US$500 million. Myanmar exports items from seven major commodity groups. These include manufactured goods consisting mainly of garments, as well as agriculture produce, minerals, cattle, fisheries and forestry products. In comparison, Myanmar`s major import items are divided into four groups - capital goods, intermediate goods, consumer goods and cut-make-pack garment products.